Congrats to completing the starter challenge! I love how you write, thanks for sharing. I have the first part of her gym adventures posted. I was feeling creative last night so got to write some. Great update. I hope Sunshine come back for more of those dip kisses. The funny thing is Sunshine was at the gym most days. Sometimes he would totally ignore my sim and others he was always trying to kiss her or be all flirty. He acted like he never knew what he wanted. It kept the game interesting. Oooooooooo.....poor Pookie! Glad your finally getting some sales at your table. Thanks! and yes, I was pretty sad about the Pookster. I may have to have bring him back somehow in a future challenge. I'm glad she is making progress. It's always sad to lose someone. The family is going on a camp trip this weekend so I may not get another part done until next week. For me it's like a little holiday , going to Pally's Murkland. And thanks, @Buttonsginger I hope we do, the weather should at least be great! This week has been long and stressful for me but I was able to get a new part done for my Murky tale. Hopefully it is not full of too many grammatical mistakes. It is 25 pics long but this way I can get the gym part done in 1 more chapter. Happy reading and thank you for taking the time! Following your adventures is great fun. Thank you for continuing to share. Thank you, @EuphorialQueen I am sooo looking forward to part 2! I have been trying not to peak into the threads on it, but it's hard. I finished the last part to the gym challenge. It's a long one at 29 pictures but finishes my time at the gym. I have pictures for the Library challenge. but I am just going to try and do a summary of here time there since it was sort of none eventful. 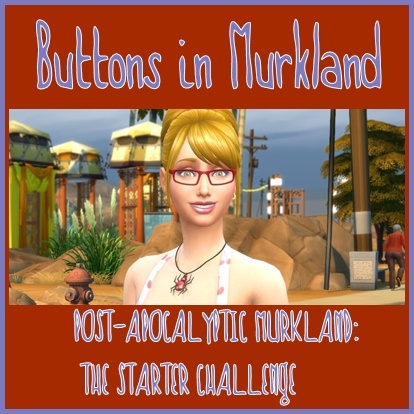 Thanks again for reading and happy 'Murky' simming! Great update. Congratulations on finishing the Gym Challenge. I'm looking forward to your summaries of the Library Challenge. Congrats on working thru the Gym Challenge. Library Challenge was just Martee sitting at computer hammering out books. You will be glad you did them both.